The Gang of Millions, those left-wingers in network TV, news anchors, talk show hosts, Hollywood in general, college professors in particular, those countless leftwing political hacks, those brain dead democrats, race-baiters, anarchist trolls, Antifa, et al, they all conspire in one form or another to say something nasty about President Trump 24/7, hoping somehow it will reverse his election. This emotionally and fanatically driven “Gang of Millions” will go to virtually any lengths to find something or invent something that would taint his character and create ill will amongst the nations voters and electorate. Their false outrage is so out of proportion it’s almost comical. These kooky liberals didn’t give this kind of relentless attention to Al Qaida after 9-11 or ISIS for the slaughter of hundreds of thousands of innocent men, women and children in over 20 countries! But, if somebody says Trump spat on the sidewalk 30 years ago…Katie bar the doors. Here we go again. 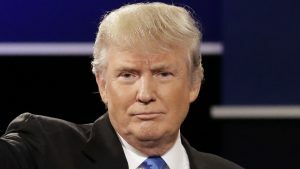 In another fact-less attempt at character assassination comes this one: “He used the N-word on the set of his television show, the Apprentice, sometime, not sure when, but he did it.” Really? And for that we’ve got headlines in newspapers, op-ed pieces excoriating Trump and talk shows queuing up the experts to discuss an unsupported allegation? But, when they invited a black State Senator to weigh-in and give Trump what for…they got just the opposite. His was a fresh perspective, a lone voice of sanity standing apart from the lynch mob. What else can I say that would add to it? Probably nothing, he said it all. He was 100% right. Thank you Sen. Williams - I rest my case. Next. PS Oh, and you can bet, there will be a next case, because the left isn’t even warmed up yet. This entry was posted in politics and tagged character assassination, Democrats, false accusations, N-word, Trump. Bookmark the permalink. Too funny. Pie I’m sure there’s a reasonable explanation. I doubt you’ve been shadow censored or any such thing, but the link didn’t work for me. The Lunatic Presstitutes have dug themselves into a big hole, yet they just keep digging it deeper. All that angst has resulted in the majority of viewers/readers no longer trusting them, and rightly so. And once that trust is lost, it’s almost impossible to get it back. And they wonder why their ratings/subscriptions just keep dropping. I’ve asked more than once, do they really think people can’t see them…see what they are up to? I guess not. The height of arrogance…reaches the stratosphere! Oh, that’s cute. Omarosa is “the Left”? In your dreams, doofus. Omarosa is a purveyor of media dreck, learned her craft under a dreck-meister, and politics … either left or right … play no part in her game. Geez, you can be dim. I mean, at this point, if a tape of bad language does turn up … it can just take it’s place on the pile with all the others.